An enjoyable night was had by a lovely group of local women in Ciúnas Spa, Cromleach lodge, on Thursday last, July 30th. The therapists at Ciunas Spa at Cromleach Lodge (l-r): Aishling Ryan, Natasha Quinn, Eimear McDermott of Voya, Bernadette McPadden and Niamh Kerins. The evening began with a welcome cuppa, some Cromleach cookies and a catch-up on all the local news as neighbours met. Ciúnas Spa is very proud to carry the Voya range of products and treatments. Not only is it probably the foremost organic spa product in the world, but it is created locally in Strandhill. 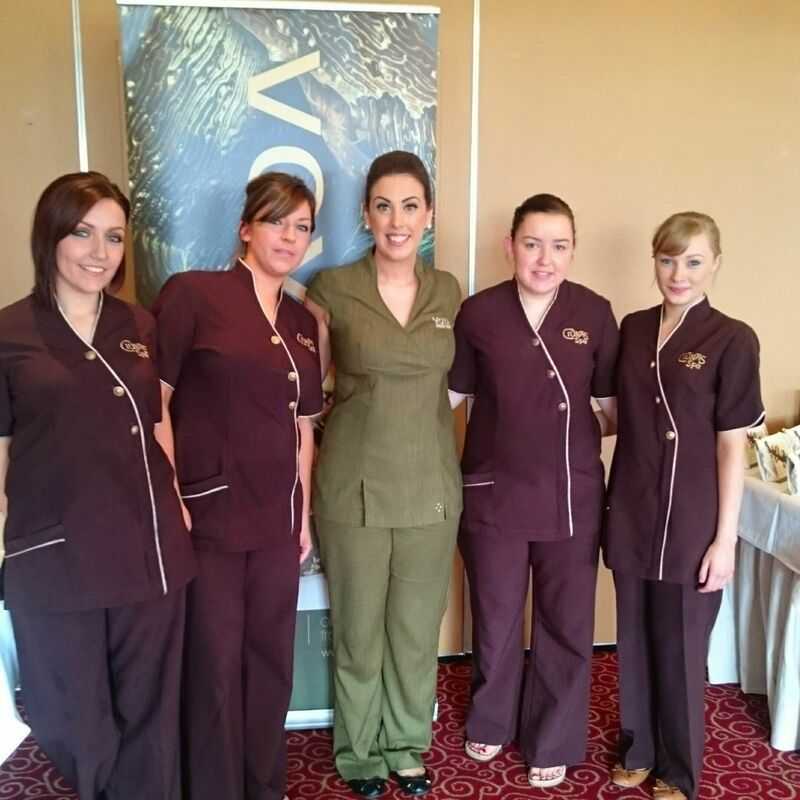 Eimear McDermott, representing Voya, gave a very informative facial demonstration to the attentive gathering. Afterwards, all converged on the thermal area to enjoy the outdoor hot tub, the steam room and the sauna. The hot tub in particular was in high demand on one of the few summery evening we’ve had in 2015. Each guest was treated to a mini facial during this time, accompanied by expert advice on skincare. Afterwards, reluctant to part, most of the group headed to the bar for a much-needed bite and sup after all the activity. The evening was very well subscribed and I understand that Ciúnas Spa is planning more of these in the future. All details of same will be available on www.cromleach.com/ciúnas.